Posted July 31st, 2015 by Lillian Price & filed under Dentist. 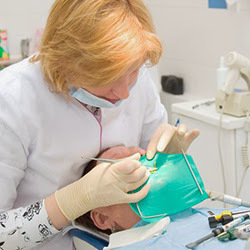 Many people think of dentists just as people who clean and repair teeth. While those are certainly some of the most important and common things they do, there are actually a number of other things they can do that you may not realize are common. The items below may surprise and excite you. Posted July 24th, 2015 by Lillian Price & filed under Dentist. Posted July 22nd, 2015 by Alex & filed under Dental Care. Posted July 20th, 2015 by Alex & filed under Dental Treatment. Posted July 20th, 2015 by Lillian Price & filed under Dentist. Posted July 16th, 2015 by Lillian Price & filed under Dental. Posted July 15th, 2015 by Alex & filed under Dental Care.